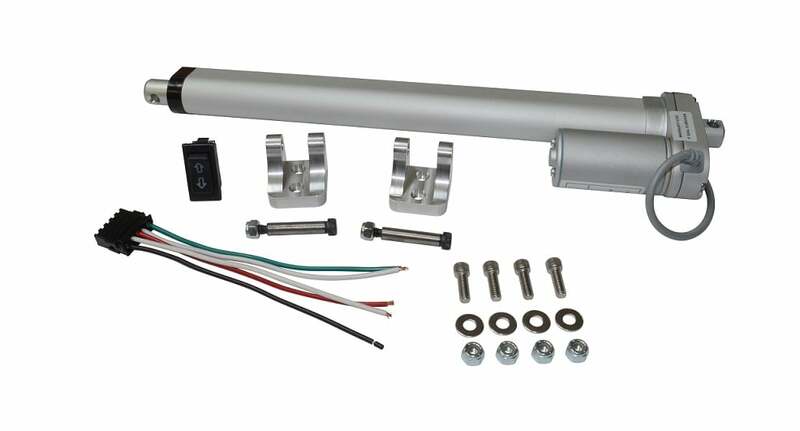 Our heavy duty actuator provides 250lbs of lifting force at the touch of a button. This compact unit needs only a 2-inch square for mounting. Comes complete with 5 pole switch and mounting brackets.